The historic monument belonging to the Mongol time, known as Monar Jonban, is a shrine over the tombstone of Amu (Uncle) Abdollah. 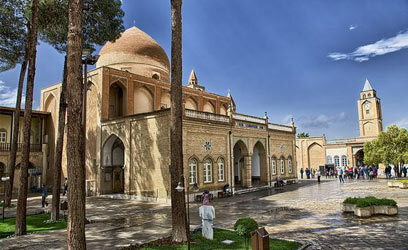 Monar Jonban is considered as one of the most popular monuments of Isfahan for its wonderful architecture. 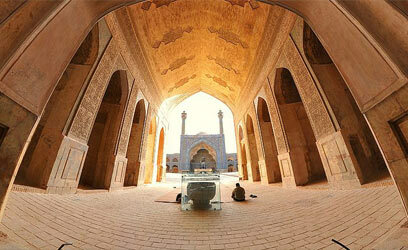 It is located in far west of Isfahan. the twin symmetric minarets are more than a masterpiece. 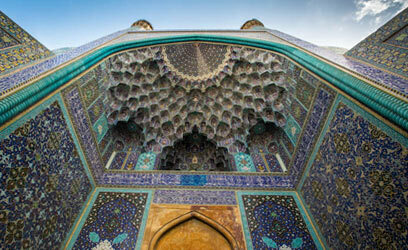 The High architectural knowledge of its architects is reflected in the mysterious structure of the minarets. The main distinguished feature of this monument is that by shaking strongly one minaret, the other minaret starts shaking with the same frequency. it also can be felt in the whole structure slightly. According to the latest research that has been done, the reason that the other minaret vibrates automatically after the other one is shaken is the “U-shape” structure of the building. There are also other points of view to this matter but the mystery is still unsolved. Presently, no one except for the special guard is allowed to climb up the narrow spiral staircase in the minaret to open arched summit and shake the minaret. A bowl of water can be put over the tomb so that with the waves forming on the surface of the water you can actually see the vibration. 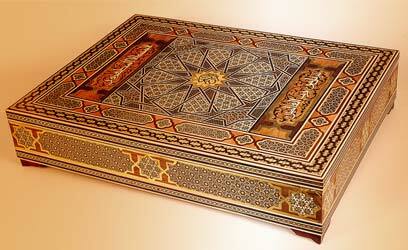 The whole iwan is decorated with Inlaid mosaics with wavy lines and polygonal azure tiles. Dark blue tiles cover the inner side of its arch. Over the years, this remarkable monument has aroused admiration in the heart of travelers. The shaking minarets are responsible for the worldwide fame of Monar Jonban. Be careful!! Make sure to check the timing of it so you wouldn’t miss it.